Join Clocktower for the opening of Cross-Cuts, an exhibition presented at Knockdown Center on Sunday, May 11th, 2014, from 2-6pm. Preview 2-6pm on Saturday, May 10th. Special transport for both days: shuttle from the Jefferson stop on the L train. Free and open to the public. 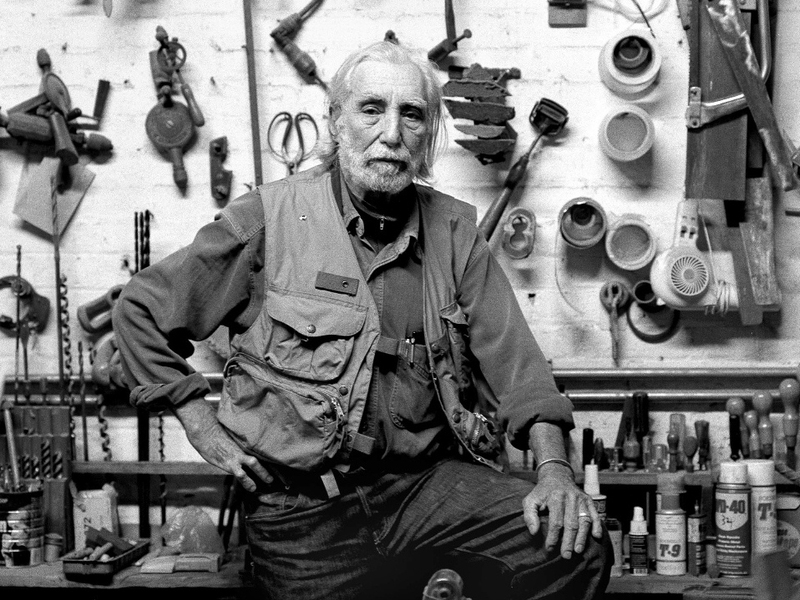 Joel Shapiro and Richard Nonas are two sculptors who emerged during the early 1970s in New York City, as pioneers of non-traditional sculptural installation. Both artists are now internationally recognized, with work in private and public collections. They have made significant contributions to our understanding of space, scale, and structure, and Clocktower Productions is proud to have them on view in the magnificent Knockdown Center space. 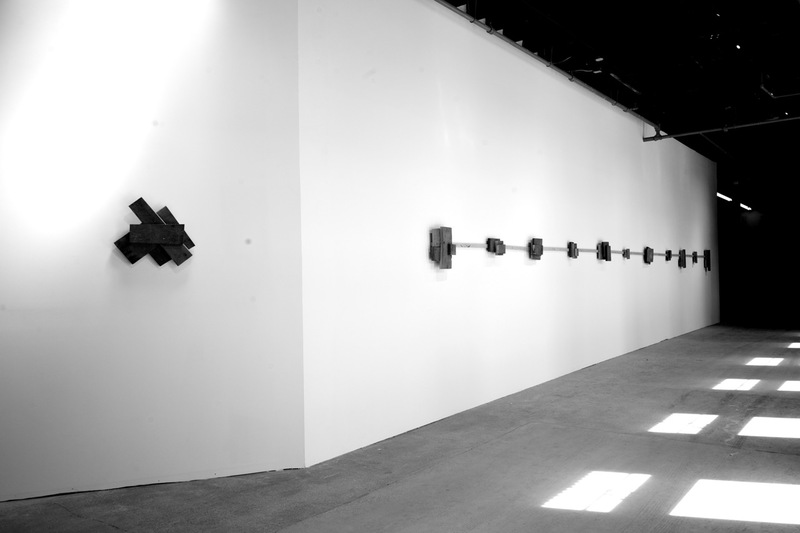 Cross-Cuts: Slant 1; Richard Nonas. 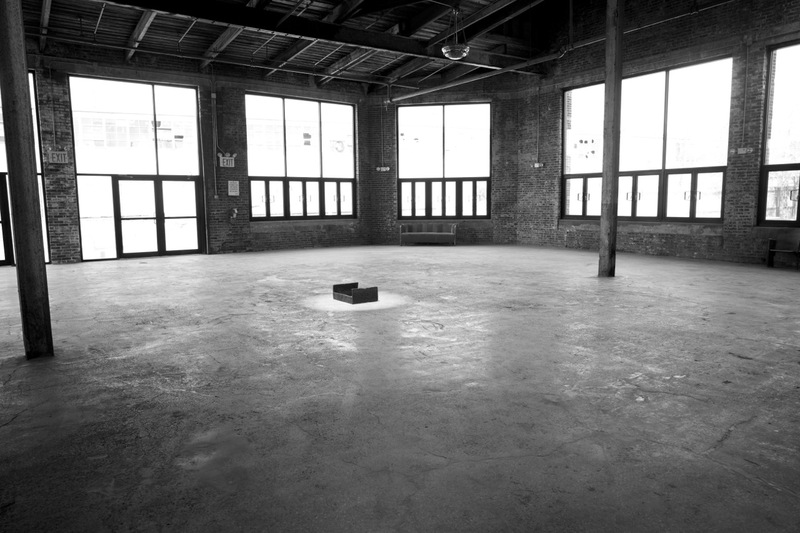 Photo: Richard Nonas, 2014. 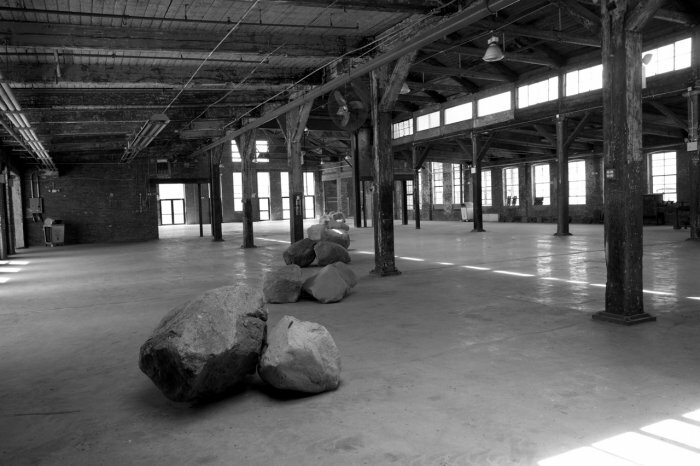 Joel Shapiro and Richard Nonas are two sculptors who emerged during the early 1970s in New York City, as pioneers of non-traditional sculptural installation. 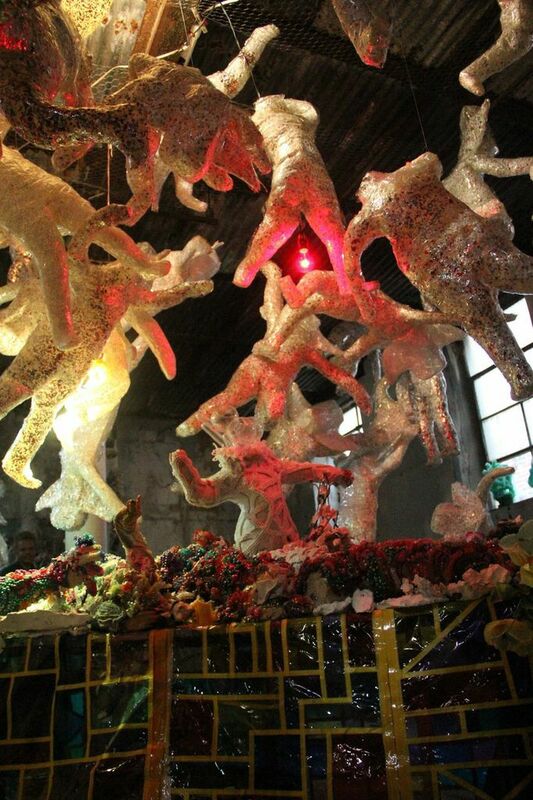 Both artists are now internationally recognized, with work in private and public collections. 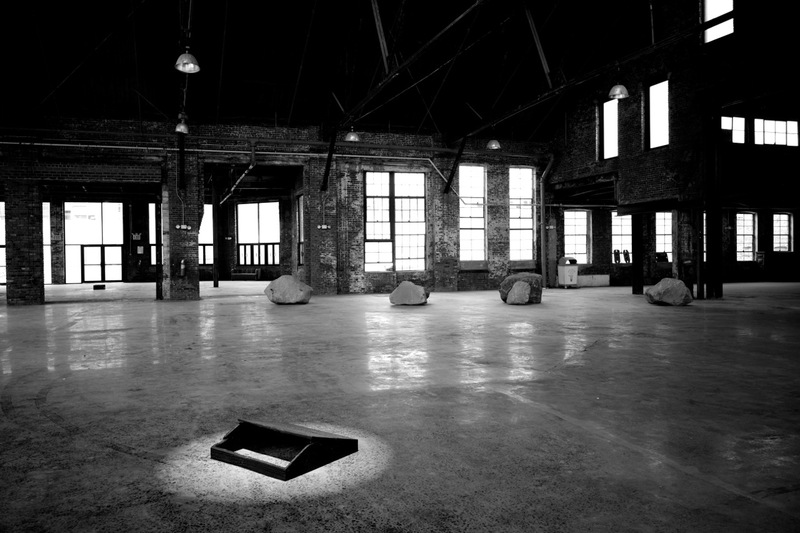 They have made significant contributions to our understanding of space, scale, and structure, and Clocktower Productions is proud to have them on view in the magnificent Knockdown Center space. 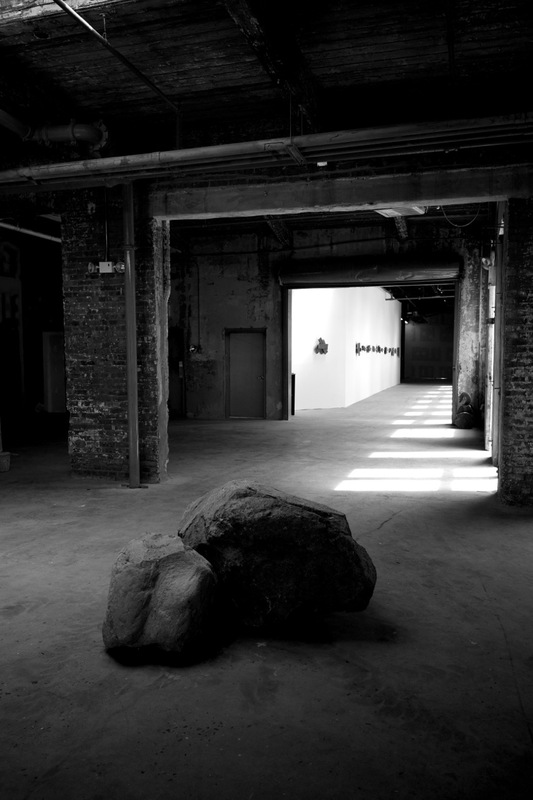 Exhibition on view at Knockdown Center Saturday and Sunday from 2 to 6 pm, or by appointment. 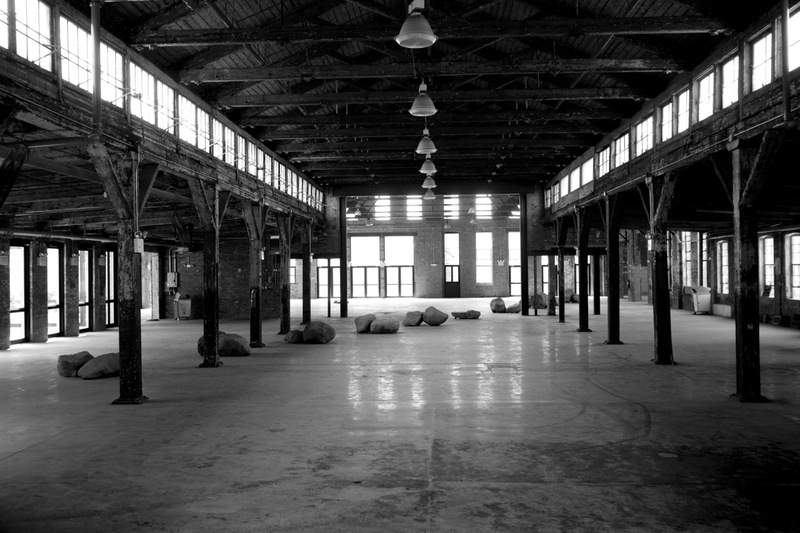 Knockdown Center 52-19 Flushing Ave Maspeth, NY 11378 Call (212) 233-1096 (Clocktower) or (347) 915-5615 (Knockdown). A celebration of artists using installation work as a platform for performance, featuring Raul de Nieves, Christian Joy, Hisham Bharoocha, Brian Chase, Desi Santiago,and more.